Replacement components for existing 3.5" OD Posts. 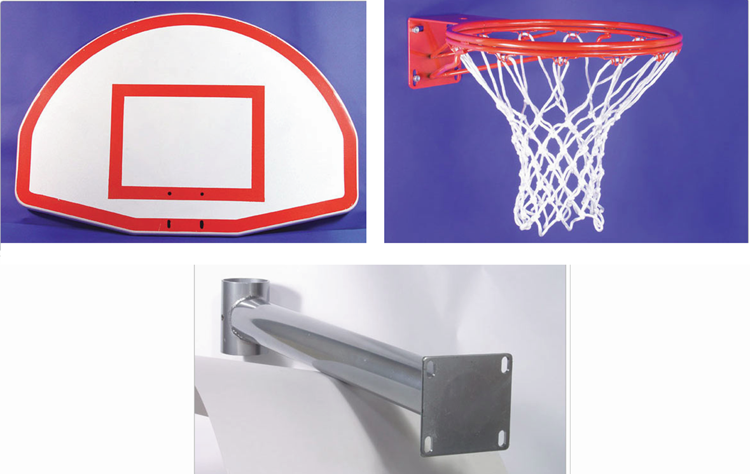 If your playground basketball systems could use a makeover then look no further. The Playground Makeover 3.5 is so named because it supplies the replacement components needed for an existing 3.5" OD post to turn it into a complete basketball system. Simply attached the Rim with nylon net and Aluminum Fan Backboard with Painted Silkcreen Target and Border to the Adjustable Mounting Bracket for 3 1/2" OD Post and slide it all over the top of your existing 3.5" OD post. Tighten the mounting bracket to the post so the rim is at the 10' height and your good to go! Replacement components for existing 3.5" OD Posts. Ships in 2-3 weeks ARO.